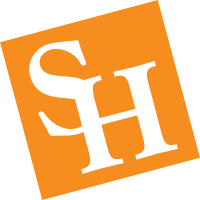 Welcome to the SHSU Office of Research Administration's website. The office is located at the HATCH Building. The Office of Research Administration (ORA) reports to the Controller's Office. The mission of the SHSU ORA is to administer internally and externally sponsored program funds in an efficient and effective manner, to minimize risk to the University and allow faculty to focus on their research. The ORA is responsible for performing all accounting functions related to sponsored projects. The ORA will assist the PI in monitoring expenses for allowability, reasonableness, and allocability. They are responsible for providing PIs support as necessary in completing technical reports. Lastly, they are responsible for the financial close of all internally/externally-funded sponsored projects which is a process that begins with the award end date and includes preparation of final financial reports. In addition to the above responsibilities, ORA, will be responsible for monitoring compliance of all funded programs at SHSU. They will work closely with PIs and the Office of Research and Sponsored Programs to ensure that state funded, private, and federally funded programs are in compliance with policies and restrictions at all levels. Office of Research and Sponsored Programs and ORA will collaborate as necessary and with other related university departments when appropriate. *The Policy for the Management and Administration of Sponsored Projects is under review and waiting approval from the President of the University.